Salsa Brava, located along historic Route 66, is Flagstaff's most well regarded Mexican restaurant. It was even featured on Food Network's Diners, Drive-ins, and Dives with Guy Fieri. Salsa Brava was voted by the Arizona Daily Sun has having the best salsa, due to the variety of fresh selections available on the unique salsa bar. Salsa Brava is by far your best bet for a fun & delicious Mexican dining experience in the Northern Arizona area. The food is tasty and affordable, the service is always great, and the ambiance is great for a fun night out. Salsa Brava offers your standard menu of Mexican favorites like burritos, fajitas, enchiladas, tacos, and quesdaillas. Most dishes are served with delicious pinto beans and Mexican Rice. They use no MGS or lard, making it a good choice for vegetarians. In addition, those dining gluten-free will be glad with the variety of options and the convenient menu markings. We tried a chicken burrito and a Portobello mushroom fajita dish (served with beans, rice, guacamole, sour cream, cheese, and salsa). Both were tasty and filling, and definitely recommended. As far as dinner entrees go, the Stuffed Chicken Sopaipilla (What Guy Ate) is definitely worth checking out. In terms of vegetarian options, the Farmer's Market Burrito will not disappoint. There are lots of options for everyone at Salsa Brava. Portions are huge, so you will likely be leaving with leftovers. Overall, dining at Salsa Brava is a great value in a touristy town like Flagstaff where everything tends to be overpriced. Service at Salsa Brava has improved tremendously over the 2 years I have dine here. 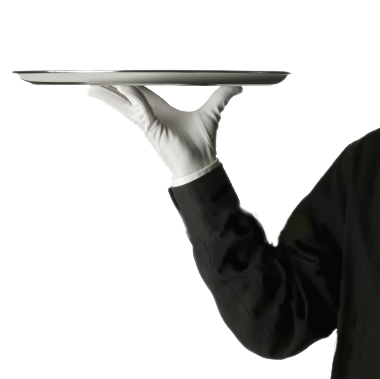 Servers are now more enthusiastic, friendly, and provide a nicer ambiance for tourists. Compared with other restaurants in town, the service is definitely several notches above the rest. Compared to other restaurants in town, Salsa Brava offers a pretty nice ambiance. Colors are bright and attractive and the atmosphere is perfect for a fun touristy dining experience. The restaurant is nicely decorated with plenty of space. Tables are not crowded or cramped. If you are craving Mexican food on your Northern Arizona trip, Salsa Brava is definitely the way to go. Not only does Salsa offers the best Mexican food in town, it also offers the best ambiance and service out of the bunch.